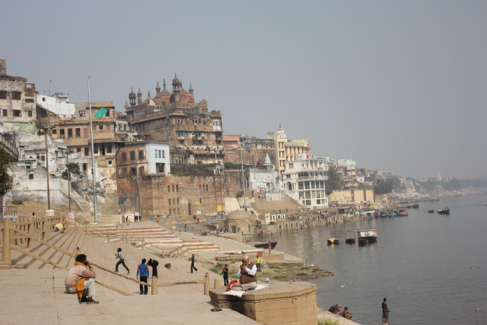 Prayaga (aka Allahabad) An ancient city on the Ganges visited by the Pandavas during their travels on pilgrimage. High school and college classes in the United States are known for teaching Homer’s epic journeys as chronicled in the Iliad and the Odyssey; however, in Andy Fraenkel’s new book (2013) we are reminded of another strong, just as dynamic journey. He tackles successfully the daunting task of retelling India’s epic Mahabharata in his work Mahabharata: The Eternal Quest. The Mahabharata, has existed in various forms for thousands of years. Fraenkel draws on his ability as a storyteller for over 25 years and maneuvers through the story’s monumental terrain with ease. His powerful narrative captivates and sustains the listener. Not only are the vivid battle scenes felt in Fraenkel’s skillful prose, but also the essence of the affairs of the heart as well. This is a human story. In this powerful story of gods and humans, we are reminded of the value of courage, weakness, and loss. We hear and see the aftermath of the battle and its toll on the families of the Pandavas and the Kauravas. We experience Arjuna’s resistance when faced with fighting his relatives and elders, and can almost hear Bhima’s need to fill his stomach. In the midst of this epic, we see the many sides of Krishna: mediator, trickster, and counselor. Interwoven within this collection is the teachings that originates from engrossing narratives shared by Bhismadev, Krishna, and others. These narratives create an evocative tapestry of informed counsel. Mahabharata: The Eternal Quest chronicles a vivid and timeless story that should be incorporated more often into our classrooms. As a teacher of myth and storytelling at Ohio Dominican University, Fraenkel has persuaded me that this epic is worth sharing in my classes. However, it is not confined to a storytelling class; it can be used to teach the value and struggle of being human, demonstrate a code of justice or honor in a study of history and criminal justice, and also serve to guide us all. In the hands of this storyteller, the tale is skillfully shared. Take the time to dive in and experience the epic from someone who honors the tradition upon which it came. 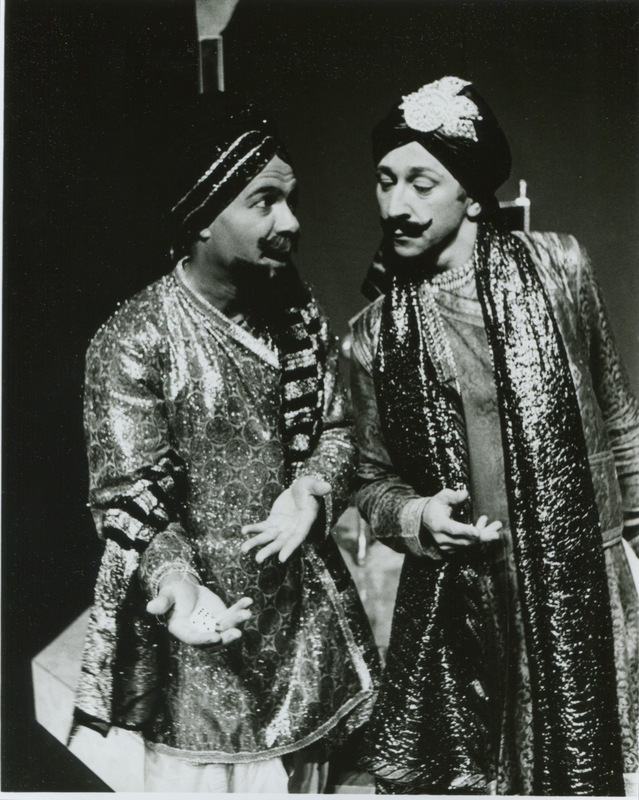 We toured with the Mahabharata from1987 to 1990 performing Off Broadway NYC, at temples, yoga ashrams, colleges, and special events. Jones (Lokamangala) passed away in 1997. In the drama we each played several parts, including storytellers moving the story along and setting up the scenes. Mahabharata: The Eternal Quest by Andy Fraenkel is an exciting new rendition of the ancient epic. What you can do to help share and promote the Mahabharata. 1) Start a study group. 2) Ask your local public or college library to order a copy. 3) Share this site on your Facebook page, blog, or email list. 4) Tell your local book store to get copies. 5) Know any media people? – Set up an interview for author Andy Fraenkel. 6) The book is a great read for story lovers, scholars, writers, poets, theater people, filmmakers, insomniacs, or for those on a spiritual quest or looking for a good read at the beach or at the bedside or taking a plane or cruise or just lounging on the front porch. Give this book as a gift!